Congratulations to the 2015 inductees: Tomson Highway, BMus'75, DMus'93 and Brenda Zadorsky, BMus'74, Dip Ed'75, who were honoured at the Alumni Awards Dinner on Friday, September 25, 2015. View photos on Flickr. Today, he enjoys an international career as playwright, novelist, and pianist/songwriter. 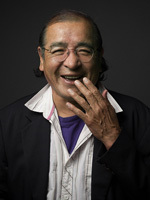 His best known works are the plays, “THE REZ SISTERS,” “DRY LIPS OUGHTA MOVE TO KAPUSKASING,” “ROSE,” “ERNESTINE SHUSWAP GETS HER TROUT,” and the best-selling novel, “KISS OF THE FUR QUEEN.” For many years, he ran Canada’s premiere Native theatre company, Native Earth Performing Arts (based in Toronto), out of which has emerged an entire generation of professional Native playwrights, actors and, more indirectly, the many other Native theatre companies that now dot the country. Indigenous Music Awards 2015 - VOTE FOR TOMSON! Support Tomson Highway and the Indigenous Music Awards and vote in the Best Songwriter (#10) and Best Pop CD (#16) categories. Voting deadline: July 31, 2015. Brenda Zadorsky (B.Mus. Hons, B.Ed W.C.A.M.) is a highly sought after voice teacher, clinician and adjudicator. 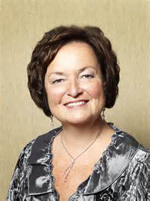 She co-founded the Amabile Youth Singers in 1985 and has won numerous honours for her artistic leadership. She has acted as a clinician and adjudicator at several national and international conferences over the years and has been a guest conductor for numerous choral organizations. Her extensive career as a music consultant and teacher with the Thames Valley District Board of Education spanned some 30 years before her retirement in 2009. Prior to that, Brenda was choral director at the St. Mary Choir and Orchestra School and she also taught music education methodology for Western University, Don Wright Faculty of Music where she was awarded several certificates for outstanding teaching. Brenda received the Don Wright Scholarship for Vocal Music, and in 2002, she was presented with the Canadian Learning Tree Award. She is principal of the Zadorsky School of Music. Over the years, her students have consistently won major scholarships at festivals as well as entrance scholarships into universities and have continued with performing careers in Canada and abroad. Brenda was inspired to become a choral conductor by the outstanding mentoring of Professor Deral Johnson for whom she sang in the UWO Faculty of Music Singers, Pro Musica and Wesley Knox United Church Choir.